Hello, everyone! So excited to let you all know I will be hosting an ‘InstaMeet’ Friday, September 16th from 6-8Pm at the Maurices store near the St. Louis area. .
Come find your perfect fall wardrobe with some inspiration from some of my favorite looks from Maurices. Sutton may make a special appearance as well! Fun fact…. Maurices was one of the first stores my mom took me to for my back to school “shopping spree”. I swear it was just yesterday! 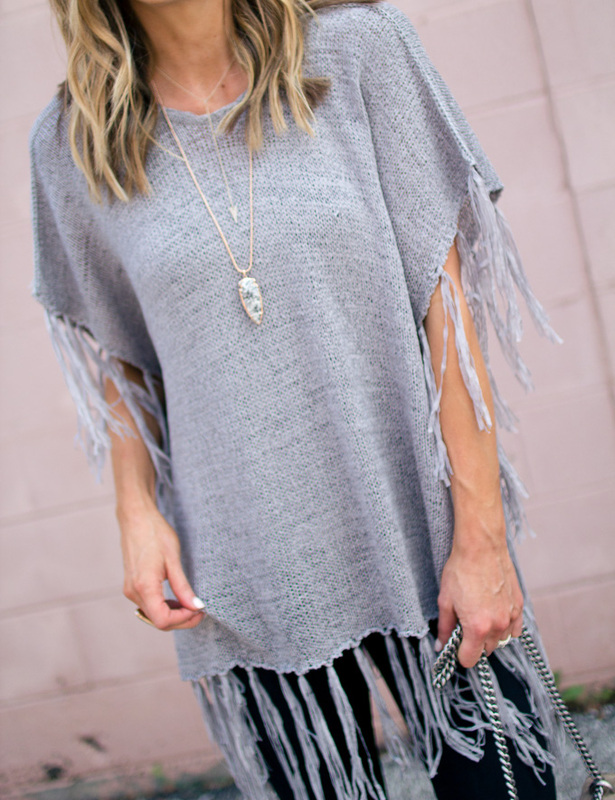 I love this fringe poncho, it is essential for fall. 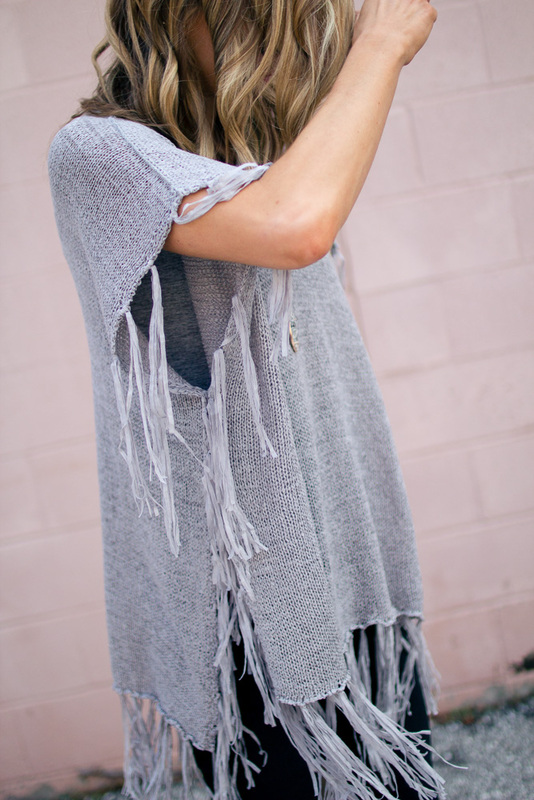 The neutral color will layer so well over your favorite flannel or thermal long sleeve tee! Make sure to save the date! I am so excited and would love to meet you all! Plus, get $25 off $75 purchase in-store and online (valid through 09/17/16)! Get all the event details here! I really hope some of you can make it! that top is amazing, love the fringes at the bottom. Have fun at the meetup! Where is necklace from? Kendra Scott?